These are the instructions to root LG G Flex AT&T H950 smartphones running Android 5.1 Lollipop or Android 5.0 Lollipop. Once you root the device, you can install all of the apps that wouldn’t work without access to the root file system on your device. You can find those apps available from the Google Play Store and they are some of the best apps you will find. 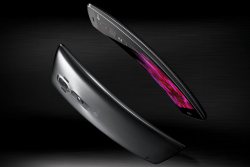 The following guide is made for the LG G Flex 2 AT&T H950 only. Each model number of the G Flex 2 smartphone has a unique code string to use during the guide. Therefore, by flashing these codes in the command line on a different device, you are risking bricking that device. Download the LG USB Drivers from our drivers page here . The LG drivers should definitely work since they are made for all LG devices. However, you may also install the ADB driver on the page and it will work for your device also. Check that the Developer Options menu is unlocked on your device. You should see that from the Settings menu. Those who do not see it from the Settings must navigate to the Menu > Settings > About Device > tap the build number 7 or 8 times until that menu is unlocked. Now that you have unlocked the Developer Options menu, head to the Menu > Settings > Developer Options and enable the USB Debugging Mode. Download the rooting image from here . Download the LG Root tool from here . Extract both archives to the desktop of your computer. Connect the AT&T LG G Flex 2 to the computer using the USB cable. Transfer the rootedsystem.image file over to the root of the internal SD card folder on your device. Unplug the G Flex from the computer and turn it completely off. Hold the Volume Up key and connect it to the computer with the USB cable at the same time. Double-click over the ports.bat file on the desktop and look out for your devices COM port number. Open the command prompt window from your desktop: hold Shift and right-click to get the new menu and choose to open a new command window here from that menu. – add the number on the end of the COM for your COM port that you found in the ports.bat file earlier. Your device should now have that root access. Type the final command: LEAVE to make like a branch and get out of here. There; now your device should reboot back into the normal mode and you can use the rooted apps available from the Google Play Store.